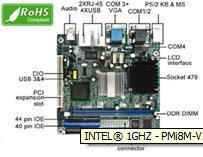 We provide Intel AMD VIA industrial grade Fanless low power Thin compact mini-itx form factor motherboards. The Intel Desktop Board D525MW represents a fundamental shift in system design—small, yet powerful enough to enable a big Internet experience for all audiences. 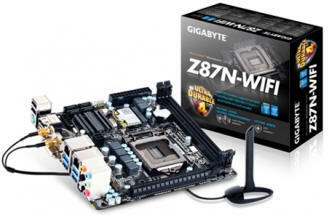 The D525MW "Mount Washington" is an Intel Mini-ITX platform featuring integrated graphics built directly into the CPU, enabling improved performance and smaller, more energy-efficient designs in a new generation of Atom-based entry level desktop PCs. Targeted specifically at the low-power computing market (nettops), the D525MW features the dual core Intel Atom D525 processor manufactured using Intel's 45 nm processing technology and NM10 Express chipset. 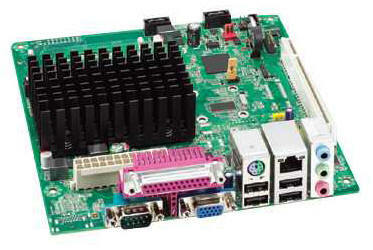 The D525MW offers the following I/O capabilities: VGA, Gb LAN, 4 USB, RS-232 COM, and audio. 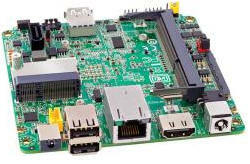 It also has wireless capability via the PCI Express Mini Card slot and includes mounting for a USB flash module. Fanless and efficient, the D525MW is an excellent, low-cost solution for use in a wide range of Internet-centric applications. 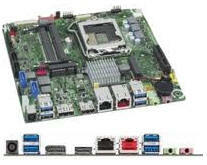 The Intel Desktop Board D525MW is designed to unleash the power of the new Intel® Atom™ processor D525 which supports the new revolutionary two–chip layout. This new chipset layout reduces the package footprint by 70 percent, enabling easier routing and better heat flow. The Intel® NM10 Express Chipset also provides additional flexibility and upgradability with two slots of single-channel DDR3 memory at 1066/800 MHz supporting up to 4GB maximum. * Due to unnecessarily tight electrical tolerances, the D525MW does not work consistently with the auto-AC power-on of most power supplies.